The DeafBlind Program provides communication support, crisis intervention, adaptive technology training and advocacy for those with combined vision and hearing loss. The program serves people throughout the state of Illinois with varying degrees of visual and hearing losses, providing access to other Lighthouse programs, services within the community and appropriate referrals to agencies. 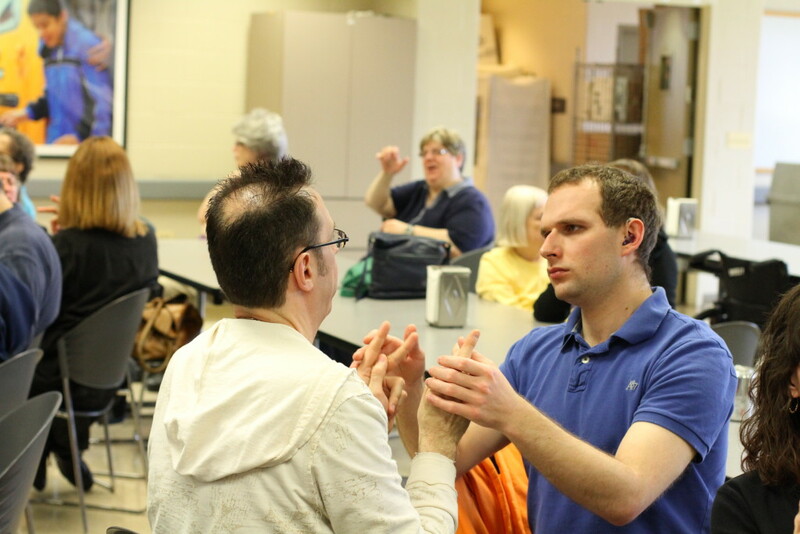 The DeafBlind Program is a proud sponsor of Le COBDA (The Club of Blind-Deaf Adults), a social club for peers to connect over monthly recreation activities and outings. Meetings are held on the second Saturday of each month, except for January, June and August. Learn more about Le COBDA and other social deaf-blind events here.